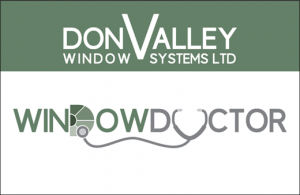 Here at Don Valley Window Systems we have over 27 years of manufacturing and installing windows and doors and have a wealth of experience in repairing and maintaining our products and a number of other manufacturers’ products too. Door locks and cylinders, patio door locks and running gear. All door furniture including. Handles, hinges, thresholds and drip bars. Door lock cylinders can be supplied by makers such as ABS, Kaba, Yale, ISEO, ERA, VERSA. We can also replace misted or broken sealed units, scratched glass, faded or damaged door panels, damage as a result of a break in. Repairs to all leaking windows, doors and conservatories can be completed and many sealants can be replaced as many of them only have a shelf life of around five to ten years.